Bill Philipps is one the world’s most renowned psychic mediums. 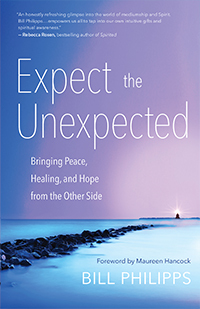 He is also the author of Expect the Unexpected: Bringing Peace, Healing, and Hope from the Other Side, which explains how Spirit communicates with him and how anyone can learn to recognize the signs that Spirit uses to offer them guidance. We hope you’ll enjoy this guest blog about how all of us can learn to communicate with the other side. 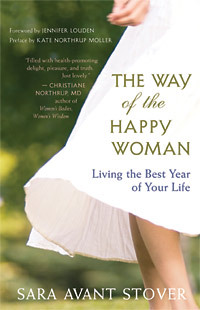 Women are intimately connected to the rhythms and cycles of the earth, and in The Way of the Happy Woman: Living the Best Year of Your Life, author Sara Avant Stover shows how simple, natural, and refreshingly accessible practices can minimize stress and put us back in sync with our own cycles and those of nature. In the following excerpt, she offers advice for how we can make the most of the summer season. Bill Philipps, author of Expect the Unexpected: Bringing Peace, Healing, and Hope from the Other Side, shares his amazing journey of going from a horrible childhood to becoming one of the most beloved psychic mediums in the world. In this fascinating interview with host Kim Corbin, he explains why he first denied and then embraced his gift, and offers a firsthand account of how spirits communicate with him. He also promises that we don’t have to be psychic to recognize signs and symbols that our loved ones use to connect with us from the other side, and explains how we can all become more attuned to those messages. 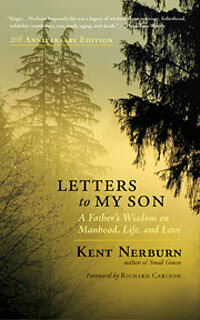 In honor of Father’s Day, we hope you’ll enjoy this excerpt from the twentieth anniversary edition, in which Nerburn shares his reflections on education and learning. When we encounter difficult people in daily life, the easiest solution is to cut and run. But when the difficult people in question are your parents, siblings, children, or all of the above, you can’t necessarily end the relationships. What happens when you’re stuck with people who don’t respect boundaries or listen to reason? 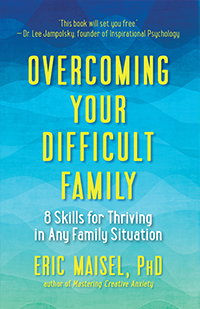 In his new book, Overcoming Your Difficult Family: 8 Skills for Thriving in Any Family Situation, Dr. Eric Maisel tackles the problematic aspects of families, offering tools to help you cope and stay present amid the challenging dynamics. As the author of Woman Most Wild: Three Keys to Liberating the Witch Within, proud witch Danielle Dulsky knows all about the power, possibility, and magick that come with deep feminine wisdom. In this fascinating interview, she reveals the true nature of witchcraft: an ancient spiritual path that rejects religious dogma in favor of female empowerment and reverence for the Earth.